Your best choice of mount is a tilting TV wall mount. The tilt feature gives you greater freedom over how and where your screen is viewed. For example, tilting sideways allows you to position the TV immediately between two rooms. 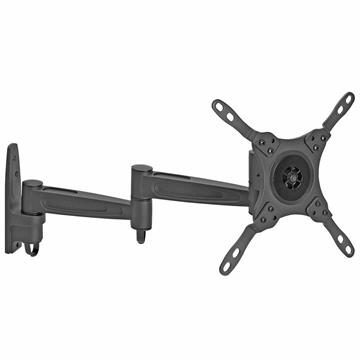 A tilt TV wall mount bracket can provide support for practically any size television. Our mounts support 17, 19, 21, 23, 25, 27, 32, 37, 42, 46, 48, 49, 50, 52, 55, 58, 60, 63 and 65 inch models.